I use this as a short quiz after teaching the final -y phonics pattern. 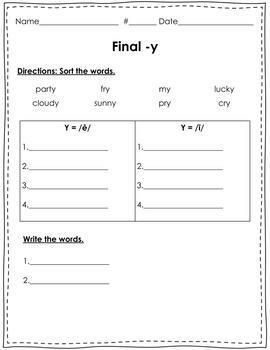 Students will read 8 words and sort them by the sound the final y makes. I then give students two words to spell. 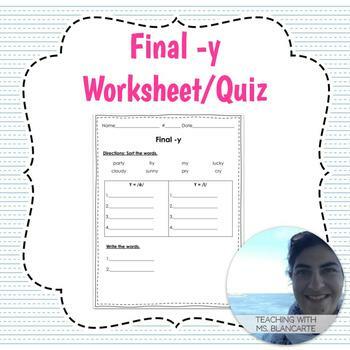 Includes a Teacher Tips page with a list of final -y words to use in your lessons.